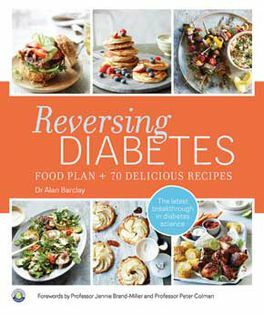 This week’s book Reversing Diabetes, is a food plan by Dr Alan Barclay. Diabetes has become a global health issue and the latest research into type 2 diabetes shows that, for some people, it’s possible to put diabetes into remission and for others, to prevent or delay complications. The recipes opposite show that you can enjoy a little of what you fancy especially with the chocolate egg custards. So, eat well and live will. Ciao! Spray a large, heavy-based saucepan with olive oil and place over a medium heat. Cook the chicken for 2 minutes on each side or until browned. Transfer to a plate. Add the onion wedges and celery to the pan and cook, stirring, for 2 minutes or until the onions have softened. Pour in the wine and stir to combine. Return the chicken to the pan. Cover and cook for a further 15 minutes or until the chicken is cooked through. Add the tarragon leaves, borlotti beans, evaporated milk and the peas to the pan and cook for 10 minutes or until the sauce has thickened. Sprinkle the chicken and beans with the extra tarragon leaves and flowers and serve with the steamed broccolini. Preheat the oven to 170°C/325°F/Gas Mark 3. Put 4 x 125ml ramekins into a roasting tin. Pour the milk into a small saucepan. Break the chocolate into small pieces and add to the pan, along with the vanilla seeds and the masala chai powder. Cook over a medium heat until the mixture is just below boiling point. Remove the pan from the heat and set aside to cool for about 10 minutes. Using an electric mixer with a whisk attachment, beat the eggs with the sweetener for 1 minute or until frothy. Slowly pour the warm milk into the egg mixture and stir until well combined. Strain the custard mixture into the prepared dishes and sprinkle with the nutmeg. Pour enough boiling water into the roasting tin to reach halfway up the sides of the ramekins and bake for 35-40 minutes or until the custards are set but still slightly wobbly. Refrigerate the custards for 2 hours, or until cold, then serve topped with the fresh raspberries.